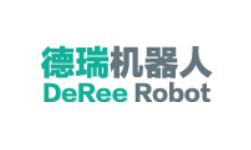 Zhejiang DeRee Robot Co.,Ltd is a subsidiary of Damon Group，it is a high-tech enterprise that specializes in researching and manufacturing AGV , providing the intelligent , efficient and flexible integrated logistic solution for industrial and commercial customers. Company’ s main products cover eight series of load vehicles, such as automatic transfer type, tail pull type, flatbed pull type, lifting type, table vehicle, heavyload platform type and forklift type. Technologies like vision, laser and magnetic navigation are applied in our products, and the load capacity ranges from 50 kg to 9000 kg, which can meet the needs of intelligent transportation in various industrial and commercial field. The head office is located in Zhejiang Province. The research and sales offices are set in Shanghai，Hangzhou, Chengdu and Changzhou. We not only offers the qualified products but also provides circumspect services to worldwide clients.